One of the most effective parts of our approach is the way we deliver information and care. World Vision trains, equips, and supports local people to be front-line caregivers in their own communities. They know their neighbors. They’re trusted. And they are passionate. This not only increases sustainability, but also enables us to reach even the most remote, vulnerable, and marginalized families. Today, World Vision has recruited, trained, equipped, and deployed more than 220,000 community health workers in 48 countries who are reaching millions of people. We focus on the first 1,000 days - from conception to the baby’s second birthday - because that’s when the risks are highest. During this time, community health workers deliver important messages on maternal, newborn and child health to the woman and her family. The messages are carefully timed so that she is able to act on them, but not so early that they seem irrelevant or are forgotten. 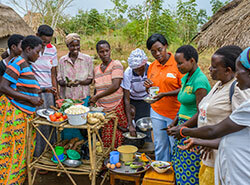 The volunteer community health workers visit the woman’s home so that key decision makers in the family, such as male partners, mothers-in-law, and grandmothers, also receive the information. Additionally, the information itself is targeted and individualized, focusing on the circumstances of each specific family. 7-11: A checklist of 7 important things for mom and 11 important things for baby. 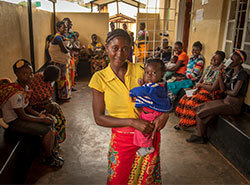 Community health workers are like a walking, talking “What to Expect When You’re Expecting” book. When they meet with moms and dads, they empower them with this vital information on how to best take care of themselves and their babies and thus significantly increase their chances of survival. PD/Hearth is a community-based rehabilitation and behavior change intervention for families with underweight preschool children. Behaviors practiced by the moms in the community with well-nourished children are shared with others in the community who have malnourished children. The 'Hearth' or home is the location for the nutrition education and rehabilitation sessions. Double-digit improvements in just 2 years! In Uganda, the rate of mothers who exclusively breastfed their infants increased from 67 percent before the program started to 85 percent after two years of receiving education and counseling on breastfeeding from CHWs supported by World Vision. In World Vision's Zambia program, exclusive breastfeeding rates increased to 90 percent after two years, surpassing the national average of 73 percent. 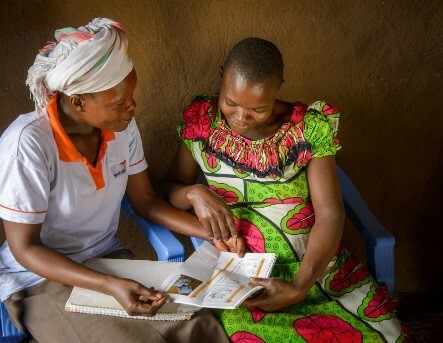 CHWs and World Vision staff in Uganda encourage pregnant women to give birth at health facilities with trained midwives and attendants rather than at home. After two years, the number of births attended by a skilled and trained health worker increased from 56 percent to about 85 percent. In Hoima district, Uganda, World Vision’s newborn and child health interventions have saved an estimated 445 lives of children under 5 between 2016 to 2018 and reduced the infant mortality rate by nearly 27 percent between 2016 and 2018. Lives of women and children changed in just 2 years! You can make a huge difference when you help us continue this life-saving and empowering work for some of the most vulnerable women and children in the world. Thank you for your consideration and your prayers.